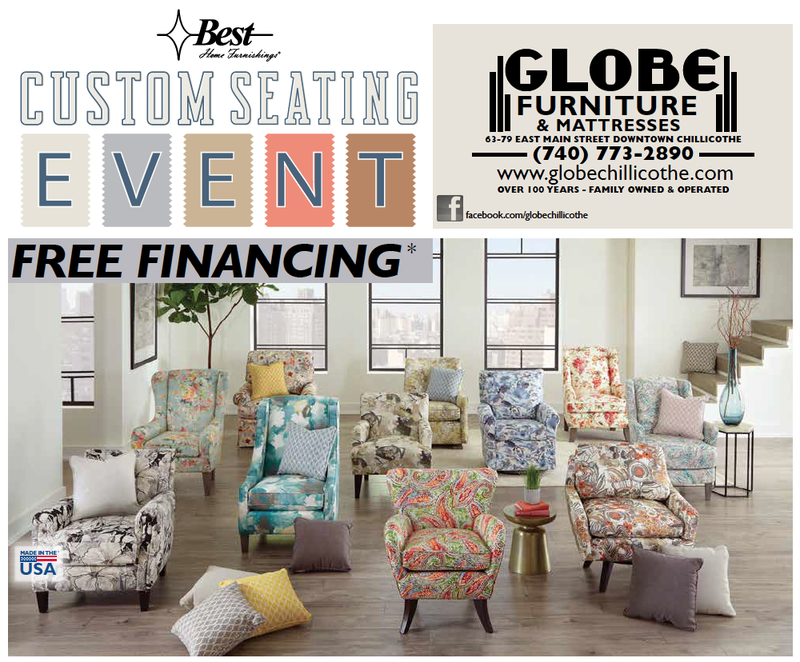 Fabulous prices on custom seating by Best Home Furnishings at Globe Furniture & Mattress in Downtown Chillicothe, Ohio. Accent Chairs, Recliner HOT BUYS, Custom Sofas, Swivel Gliders and more... Download the flyer to view advertised savings or stop in the store. We would love to show you around!